Welcome to KellyDelRosso.com - a portfolio of artworks by Kelly Del Rosso. Kelly is a resident of Bend and sells her art across the Pacific Northwest. 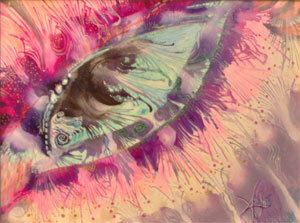 Come in and enjoy the art of a true artist whose inspiration is her endless imagination." Enjoy Kelly's art and fertile imagination...impressionistic scenes...alien landscapes and fantasy rich expressionism. Art and content is © Copyright 2007 KellyDelRosso.com. All rights reserved. All artwork posted on this site is by Kelly DelRosso.